CUTCO President and CEO Jim Stitt says the small fire started in one of the plant's blade polishing machines and spread into the duct work of a nearby dust collector. CUTCO knives have been made in Olean since 1949. Everyone made it out safely and there were no injuries reported. The company's internal emergency response team responded to the scene along with the Olean Fire Department. "Our team did a good job. We work hard on knowing how to respond to these types of situations. We got everybody out of the building," Stitt told WBFO. 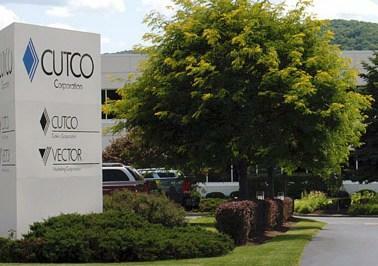 CUTCO makes a variety of high-end kitchen knives and other products, employing 800 workers. There is no damage estimate at this time, but Stitt describes it as "minimal." Normal operations resumed Thursday afternoon.